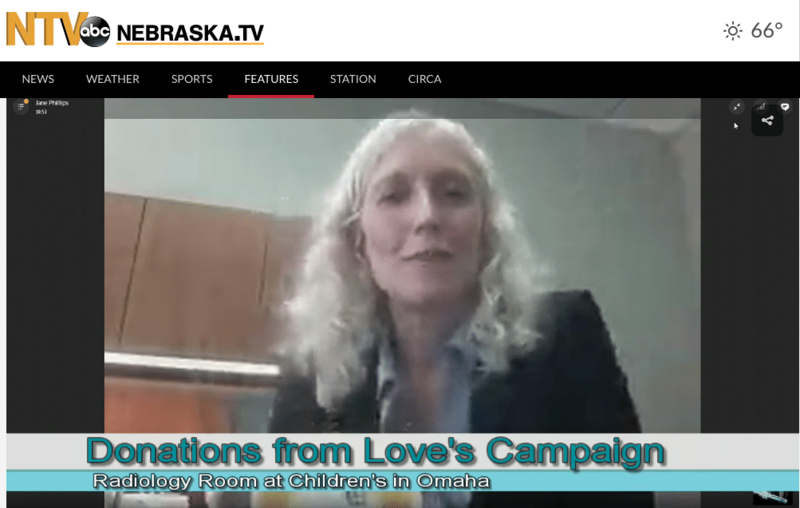 Thanks to Nebraska.TV for the great feature segment about where money raised from the annual Love’s Travel Stops fundraising campaign go. Funds raised at Love’s locations in Nebraska and western Iowa go toward a new and expanded radiology room at Children’s Hospital in Omaha, Nebraska. Jane Phillips, Director of Development for CHMC Foundation explains more during the interview. The #LovesMiracles campaign wraps up this Friday, September 30 across the country.